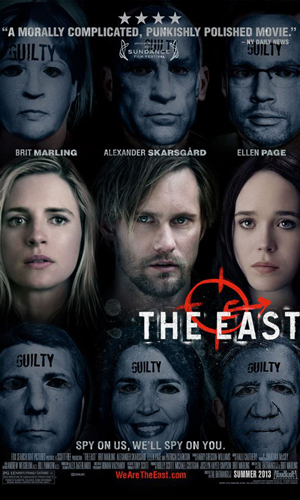 In the eco-thriller, The East, Chicago-born actress Brit Marling (Another Earth) plays Sarah Moss, a covert operative for a private intelligence firm who infiltrates an anarchist group — The East — that uses extreme means to hold corporations accountable for their shady practices. 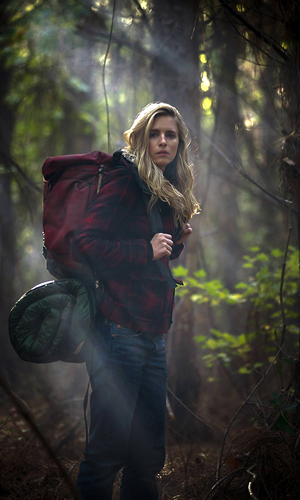 During interviews with me at the South by Southwest Film Festival (SXSW) in March, Marling discussed how an adventure she took with director Zal Batmanglij a couple years prior inspired the film and how she is affected by moral issues in everyday life. Tell us about the adventure you and director Zal Batmanglij had living out a vagabond lifestyle. This was a couple of years ago. Zal and I were looking for adventure and trying to figure out how we wanted to live our lives. We were very interested in the freegan movement and what would later be known as Occupy Wall Street. Back then, it was all still a grey area. We spent some time traveling and met a lot of really cool people and were really moved by them and what they were doing. I learned how to pick locks and dumpster dive and train hop. 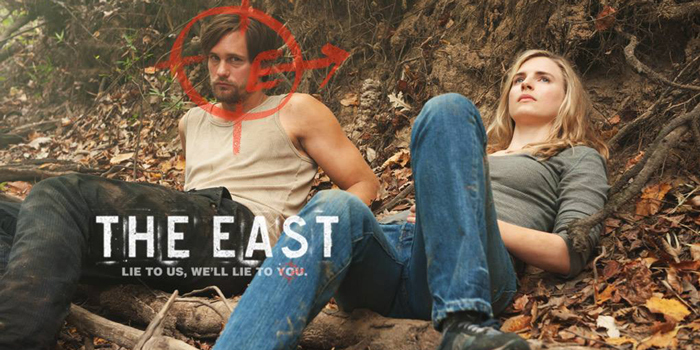 A couple years later, we really couldn’t shake that experience, so we wrote [The East] and got to make a movie out of it. Yeah, I think oddly enough the film has become more prescient. The film is talking about how far someone would go in fighting for a cause. There is a lot to fight for right now. The environment is totally falling apart. There seems to be a rise in general mental unwellness. Everybody’s on a pharmaceutical of some kind. All of the things Occupy Wall Street was protesting were still a problem. Nothing has been fixed, actually. People start consuming again and things move on. The East is like, “@#&@ that $#!@! We’re going to hold people accountable.” I think it’s very pressing. How prevalent do you think these types of organizations are out there? I definitely think they are out there. I think they are growing in numbers. I think they are incredibly brave groups of people. I think a lot of us share the same feelings and sense of politics, but we don’t live them as radically. I mean, I understand the conflict of where gas comes from to put in my car to get to the grocery store. I know the real price of that gasoline isn’t the price I pay at the pump. A lot of people die for that. There are a lot of those thinly disguised things going on that we choose not to look at in order to live our lives in the way we do. I think a lot of people are wrestling with the question of what the endgame of that will look like. Is it getting to a place where it’s all going to fall apart?